Could the old tree-based technology and the new silicon-based technology actually coexist – or even help each other flourish? Photo (CC) Steve Wampler. While talk of notation is in the air, it’s worth noting that sheet music has a chance to make a comeback in the digital age. After all, passive musical consumption seems to have already peaked some time in the now-past 20th Century. The desire for fans to be able to play the music they love is strong as ever, evidenced by the popularity of the Rock Band and Guitar Hero phenomenon. If you really wanted to be optimistic, you could interpret the downturn in recorded music as a positive trend back to live music and personal performance – the very musical trends that had been eclipsed by recording in the first place. As with digital music downloads, the hope in digital sheet music is, naturally, being able to connect fans with the growing variety of music they might want to play. Brick and mortar stores where you can buy sheet music have already largely gone the way of the dodo. Here in New York, the big victim this spring is the storied classical music supply around the corner from Carnegie Hall: Joseph Patelson Music House has gone online-only. Music recording can count on some sort of transition to new formats; music publishing has to find a way to rise from the ashes of a business that’s had to deal with the invention of the Internet and records. Singer-songwriter Ingrid Michaelson is looking to couple successful online track downloads with on-demand sheet music. Photo courtesy Ingrid Michaelson. Last week, the latest announcement on this frontier was a partnership between TuneCore and Musicnotes.com. That brings together two real success stories in this arena. TuneCore is an affordable, flat-fee service that distributes music across different online stores (iTunes, eMusic, Amazon MP3); they’ve worked with everyone from indie artists to Areha Franklin, Beck, Bjork, and Cirque du Soleil (among others). Talk long tail: they release more music per day than any single major does in a year. Musicnotes is interesting in that their catalog of on-demand online sheet music, topping about 100,000 titles, has been accelerating in sales – even as the economic recession takes its toll on the rest of the industry. They also boast 100,000 daily visitors to their site, thanks in part to partnerships with big-name publishers like Alfred, Faber, Disney, and Universal. So, how do you bridge downloadable tracks with scores? 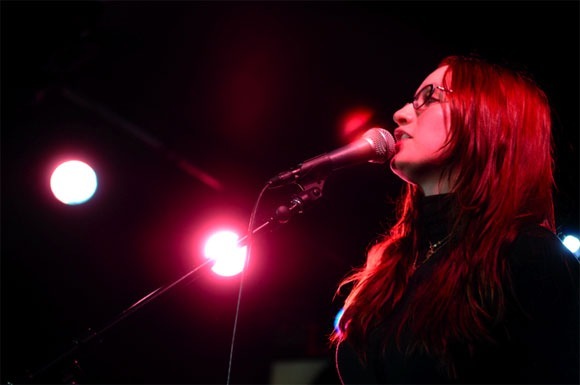 Ingrid Michaelson’s music, converted to on-demand online sheet music through the TuneCore – Musicnotes deal. Courtesy TuneCore. Notation has managed to survive centuries, so I suspect this could be just the beginning of a convergence in digital scoring. Since Sibelius announced a new release this morning, it’s worth noting that the company has long pushed online music with its Sibelius Scorch platform, which allows you to view and play scores as if you had a copy of the software used to create it. You can publish online directly from Sibelius’ software, and the platform is even used in sales. SheetMusicDirect (US site | worldwide) combines Scorch with a huge catalog of tunes. The company’s own Sibelius Music site, which can publish scores produced in Finale as well as Sibelius, just got a big update and has an active community. Some scores are free, but some are for sale – and anyone can open their own store. Notation has some history. Photo (CC) Taro Yamamoto. sic being the ability to read it. He notes, for instance, the irony of the Web Library of 17th Century Music forbidding commercial performance of their online scores – you know, they just want a cut of all the money you’re making on … um … 17th Century musical performance. At the same time, it’s telling that even G. Schirmer is getting in on its own on-demand delivery system. Have you found useful ways to sell or freely disseminate your own scores? Have you bought a score online? Is there a score you would buy online if an artist made it available, or if there were better stores available? I’m curious what practical implications there may be. And incidentally, these lead sheets and such are great, but I would absolutely buy alternative and strange experimental notation from electronic artists if they chose to deliver it.